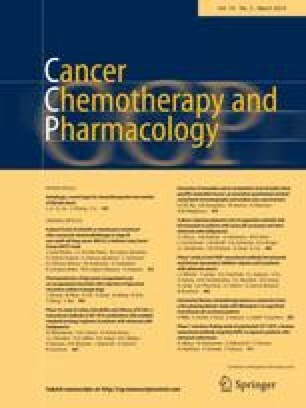 2′-Deoxy-5-azacytidine (5-aza-CdR) and cisplatin interact to produce synergistic cytotoxicity against many human tumor cell lines. Preliminary experiments designed to explore the mechanism of this synergy suggested a poor correlation between synergy and the degree of genomic hypomethylation measured following exposure to 5-aza-CdR. Subsequent studies using plasmid DNA suggested that rather than DNA hypomethylation, incorporation of 5-aza-CdR into DNA mediated increased cisplatin binding to DNA and could therefore be essential to the synergistic interaction between these two agents. In this series of experiments, we evaluated the degree of synergy with cisplatin produced against two human melanoma cell lines by two additional antimetabolites that were chosen on the basis of their biochemical properties. In addition, we investigated the synergy between 5-aza-CdR and cisplatin in parental and 5-aza-CdR-resistant murine cell lines, which differed in their sensitivity to 5-aza-CdR and DNA methylation status but incorporated similar amounts of 5-aza-CdR into DNA when exposed to this antimetabolite. In the studies testing additional antimetabolites, cytosine arabinoside, which is incorporated into DNA but does not hypomethylate it, produced synergy with cisplatin that was similar or superior to that obtained using 5-aza-CdR. With 3-deaza-adenosine, which is not incorporated into DNA but produces DNA hypomethylation through inhibition of S-adenosylhomocysteine hydrolase, a primarily antagonistic interaction was observed in the two cell lines studied. In the 5-aza-CdR-sensitive and-resistant cell lines, a very similar synergistic interaction was documented for 5-aza-CdR and cisplatin despite the significant difference observed in DNA methylation levels. Taken as a whole, these data suggest that DNA hypomethylation was not critical to the synergistic cytotoxicity produced by 5-aza-CdR and cisplatin. This finding suggests additional strategies that could further modulate this interaction.